in a time when most items are built using high tech metlas and sophisticated plastics, it is refreshing to see a product built with simple materials. 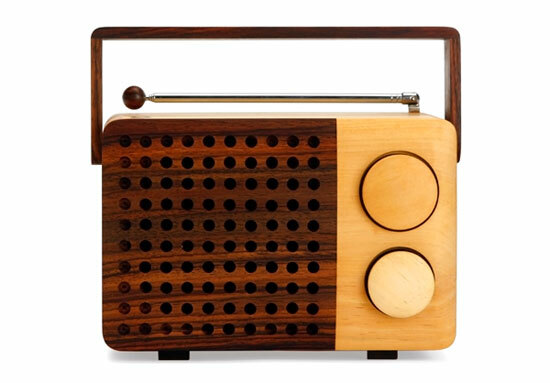 the ‘magno’ wooden radio is designed by indonesian designer singgih susilo kartono for the spanish company vinçon. each radio is hand made from locally grown sonokeling and pine wood in singgih’s home town, temanggung. 16 hours of works goes into making the radio, which is then individually numbered and dated. singgih also designed the product to show off the imperfections aiming to create imperfectness. the radio is battery operated and includes FM, AM and SW bands. oh, and forget complicated repairs, the ‘magno’ only needs some wood oil form time to time.